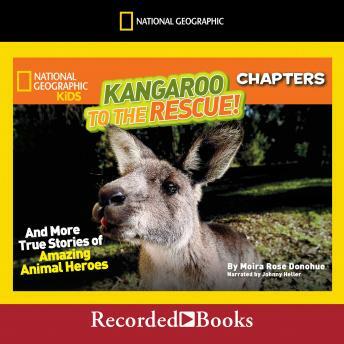 National Geographic Kids is back with another installment in the Animal Heroes line of National Geographic Chapters books. Get ready to meet more amazing, medal-worthy critters in this action-packed collection, including a kangaroo to the rescue! Filled with engaging photos, fast facts, and fascinating sidebars, readers won't want to put this book down. Moira Rose Donohue is a reformed lawyer, children's writer, and the self proclaimed "Queen of Punctuation." She loves dogs, tap dancing and old movies. Moira's publishing credits include poems, plays, and 15 books for children including the National Geographic Kids Chapter Parrot Genius.